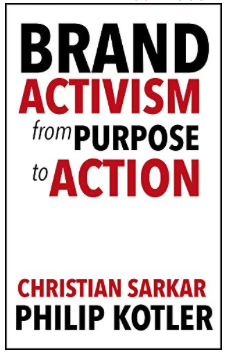 Christian Sarkar and I have published the e-book version Brand Activism: From Purpose to Action (IDEA BITE PRESS, November 2018). The print version will be available in February, 2019 - and will include new interviews with several additional luminaries. You can get the e-book now and automatically get the updated version when it is released.